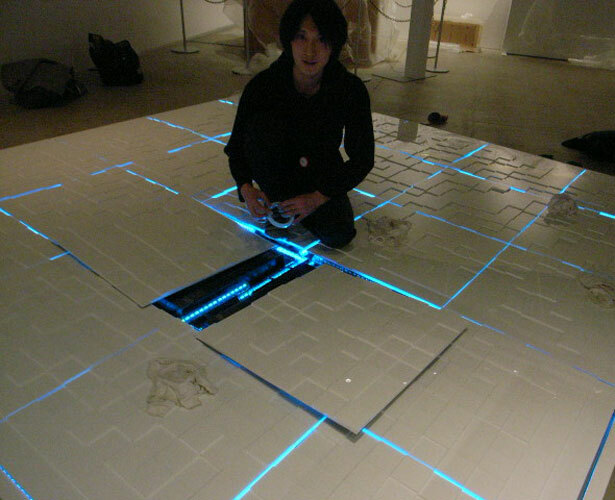 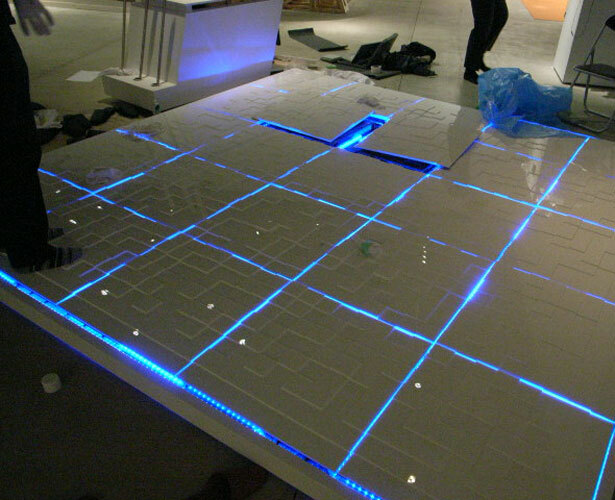 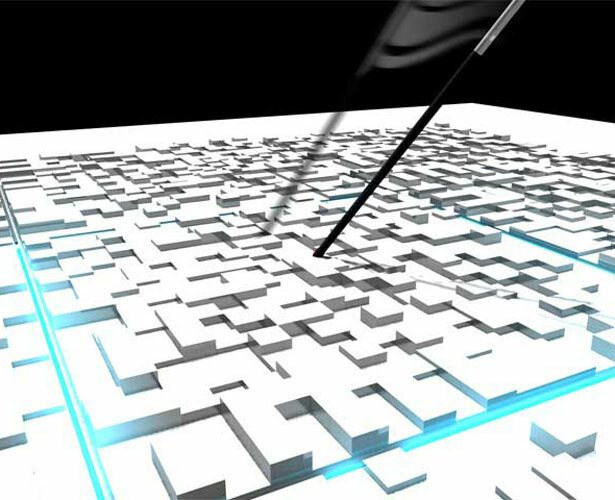 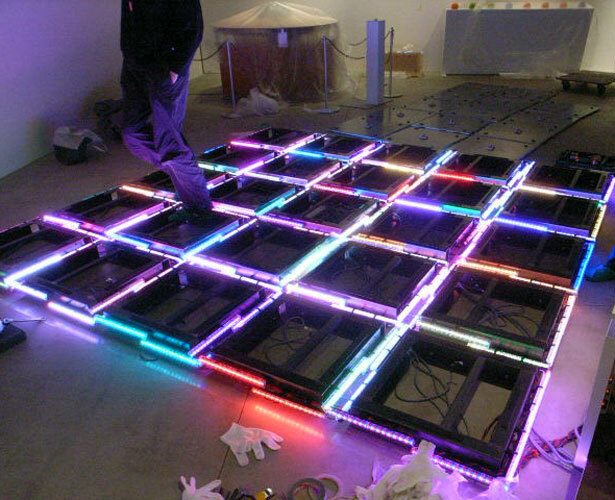 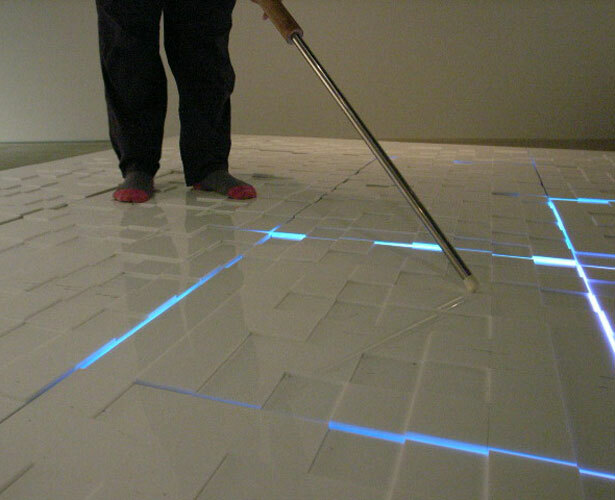 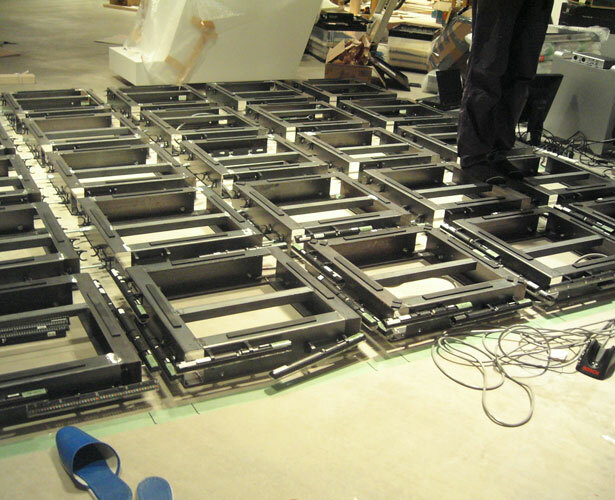 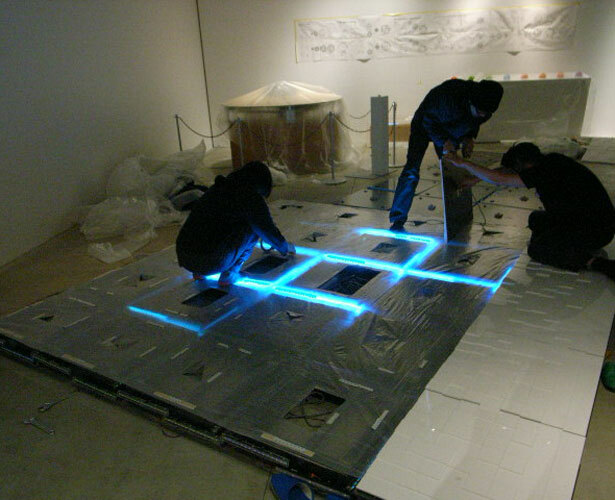 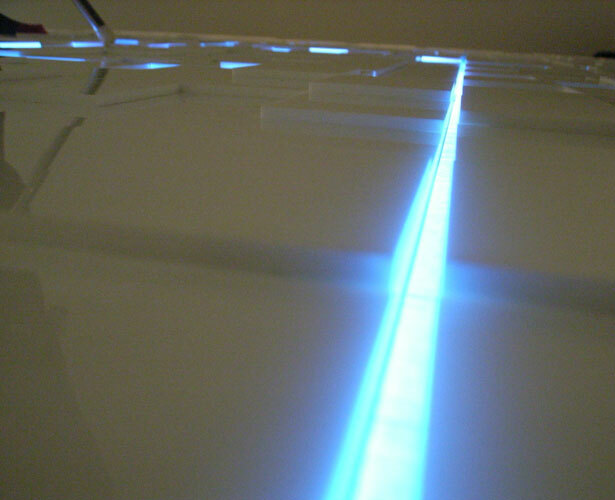 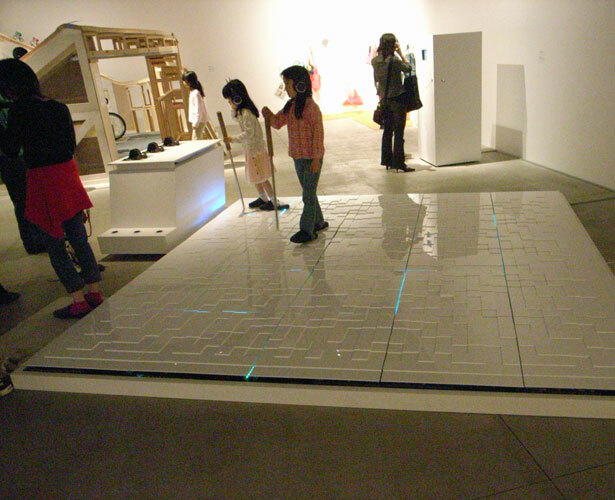 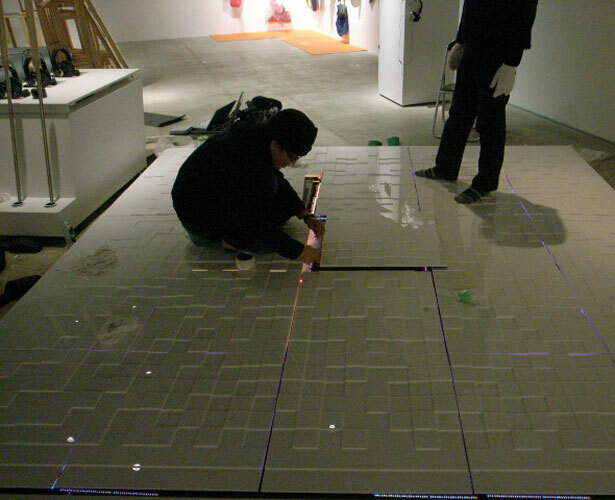 ‘Sonic Floor’ is a work comprised of the flooring with built-in sensors and LED lightings, the sound equipments, the walking stick, and Web pages produced by reacting to values from the sensors. 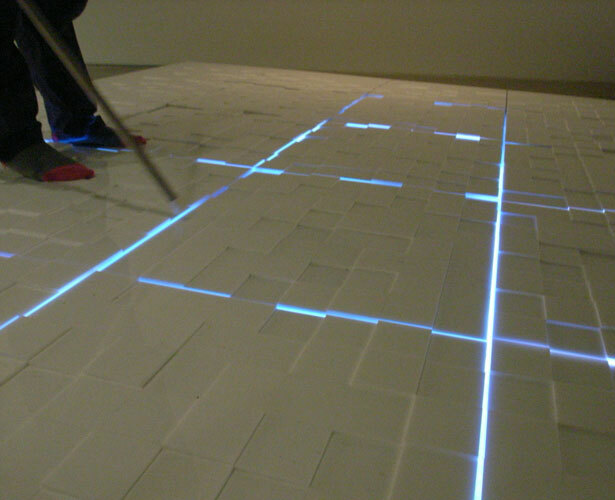 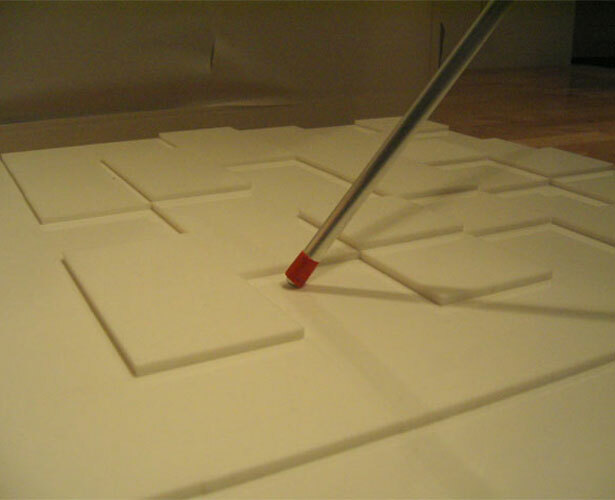 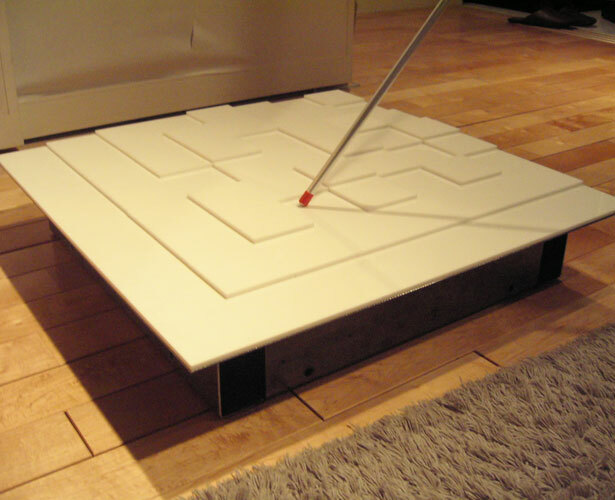 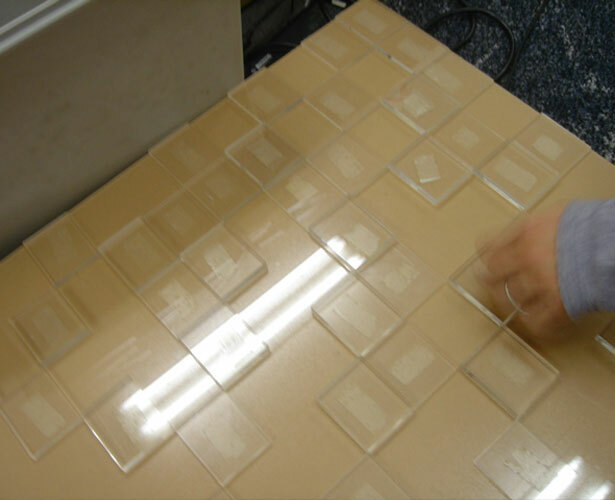 On the surfaces of tiles that cover the floor, there are minute convexoconcaves that record sonant information. 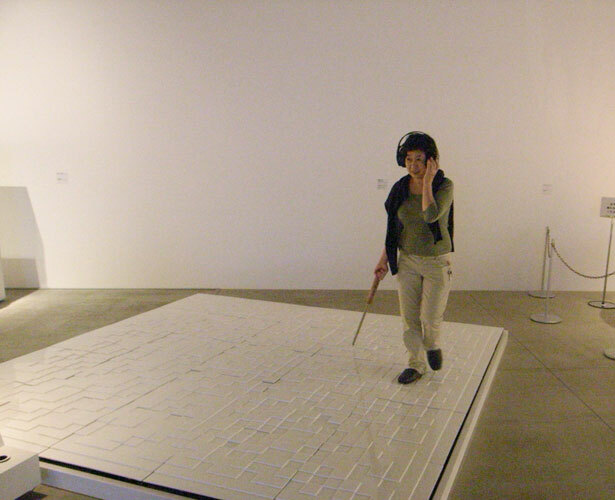 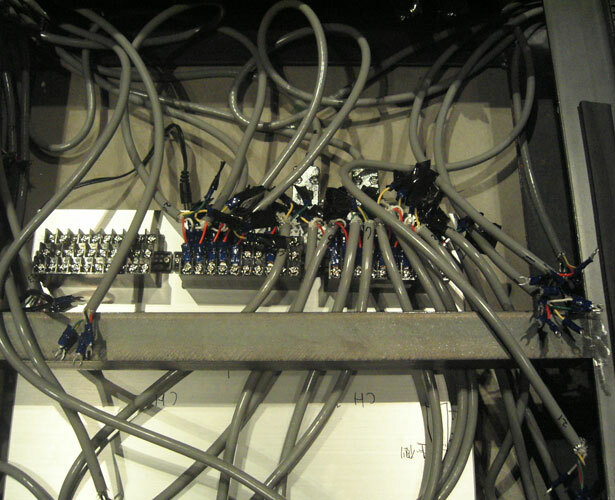 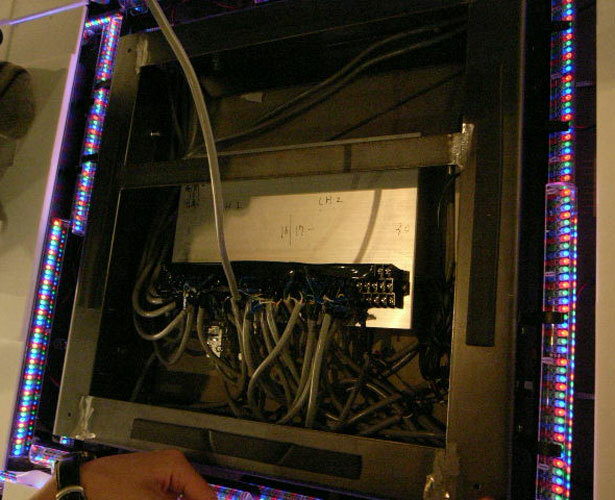 When one walks on the floor with keeping the tip of the walking stick on the floor, music and lightings are produced in response to the data from the oscillating convexoconcaves. 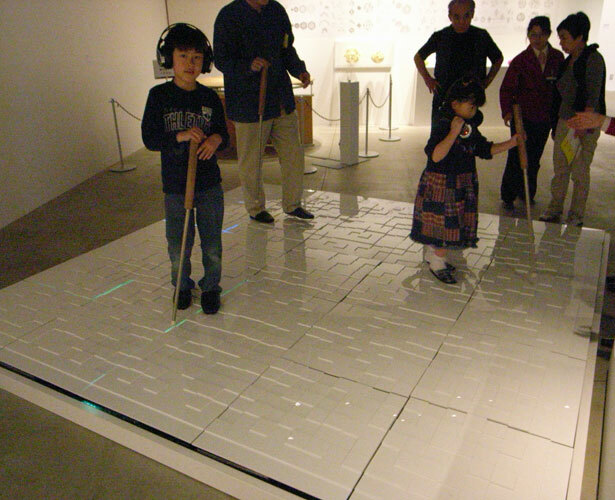 The layout of those convexoconcaves is designed to create musical sounds. 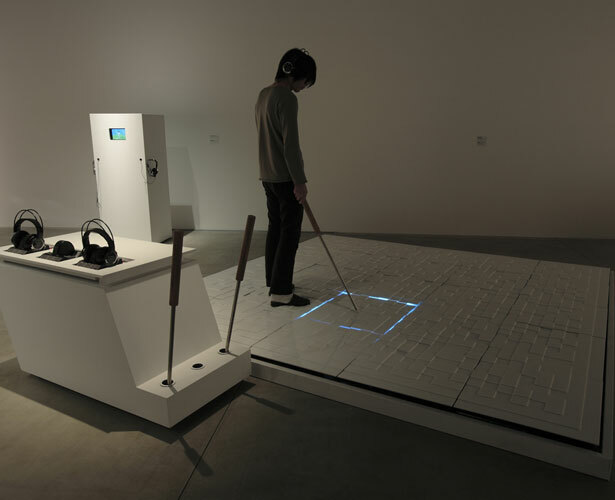 Also, using the quantization process (which automatically corrects the timings of sounds) enabled the work to produce comfortable music however one moves the stick. 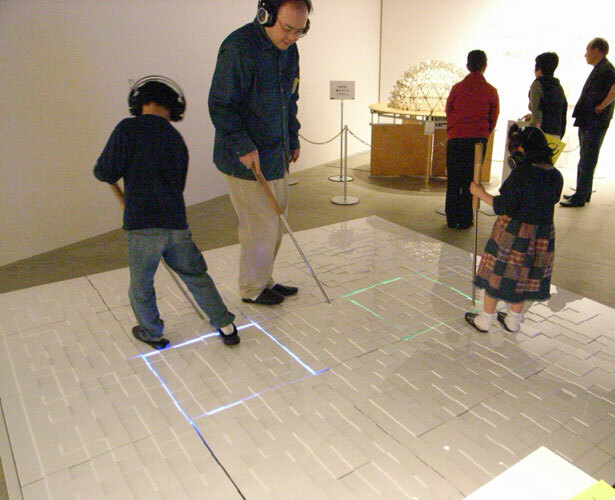 These sensors and the information processing by computers enable the audience to enjoy and rediscover minute feelings that are overlooked normally. 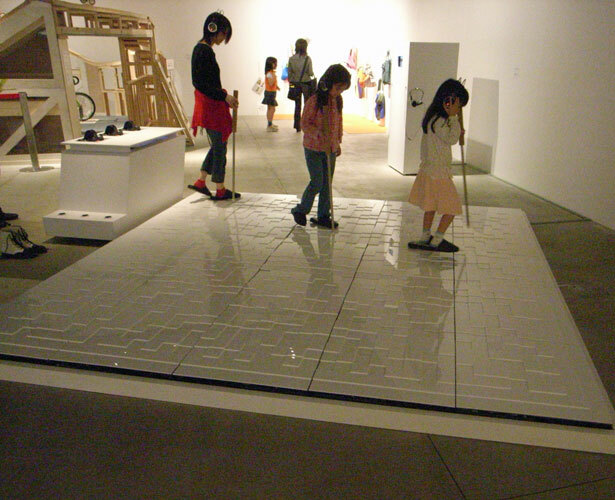 Walking on the sidewalk with sticking an umbrella tip into grooves in one afternoon after the rain ― the nature of enjoyment must be hidden in such casual play. 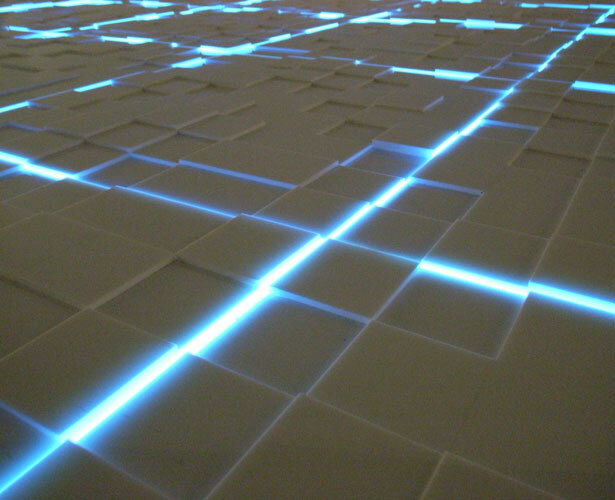 Although here one has only subtle and very limited information which is vibrations conducted to hands, it evokes amusement and delight that even moves one’s heart. 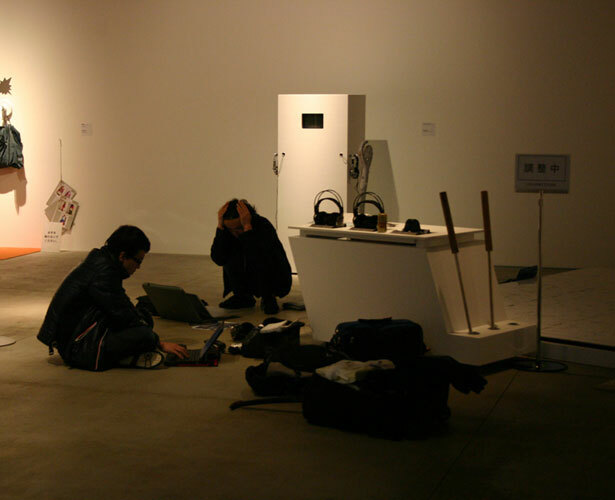 These feelings are quite different from those one may have when appreciating a high-quality video. 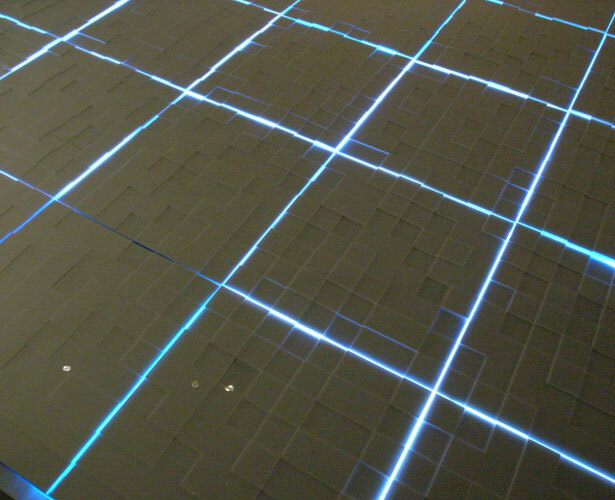 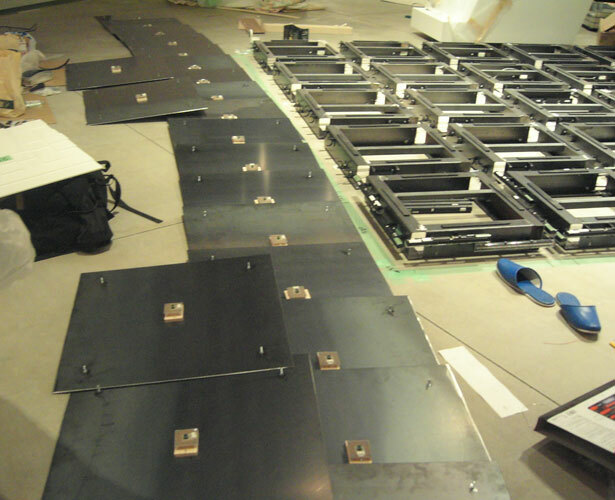 Changing the environments in towns, stations, or airports to the one like the ‘Sonic Floor’ that the audience can actively experience, and secondary or tertiary use of information from sensors convert the public spaces into ambient information platforms. 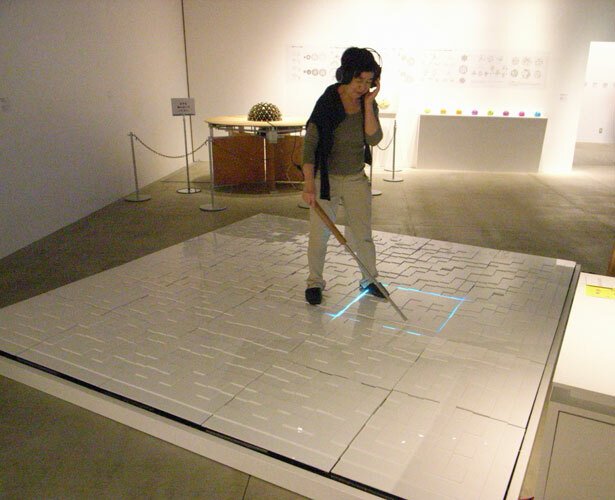 This idea has prospects to be an innovation in the modern societies that overload one-way information.